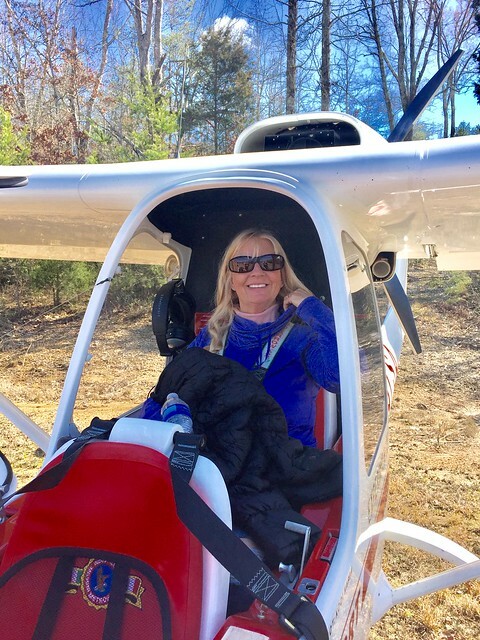 Once the fog and mist lifted this morning, it was such a gorgeous day I grabbed my gorgeous wife and headed to the airport for a fun flight to our property in TN in our Sky Arrow, just under 50nm miles from our home base in N GA. For no particular reason, but we did make a picnic of it. Just a fun day burning mogas in the sky. Not quite as hairy as it seems, but still "interesting" for a boy who spent the vast majority of his flying in Florida! Nice! How long is the strip? Actually closer to 2,000' if you include the upslope at the NE end. An aid taking off to the SW, and comforting if one is a tad fast or long landing the other way.